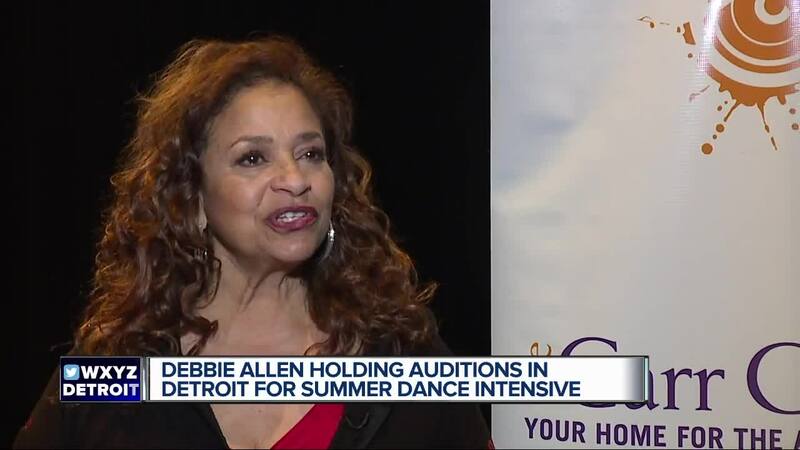 DETROIT (WXYZ) — The Carr Center Arts Academy is bringing world-renowned actress and choreographer Debbie Allen back to Detroit for their Summer Dance Intensive and newly added Music Theater Intensive. Debbie Allen and the Debbie Allen Dance Academy will join The Carr Center's auditions this weekend in the Motor City. Dance auditions and intensive are for children age 8 and up, while the Music Theater auditions and intensive are for ages 10 to 21. Participants should come prepared with a song, one-minute monologue or poem for their audition. Auditions will take place at the Detroit School of Arts on Saturday, March 23 at 2 p.m. for the new Music Theater Intensive, as well as on Sunday, March 24 at 10 a.m. for the Dance Intensive. Participants are advised to register online . Registration fees are $25 online and $40 at the door.